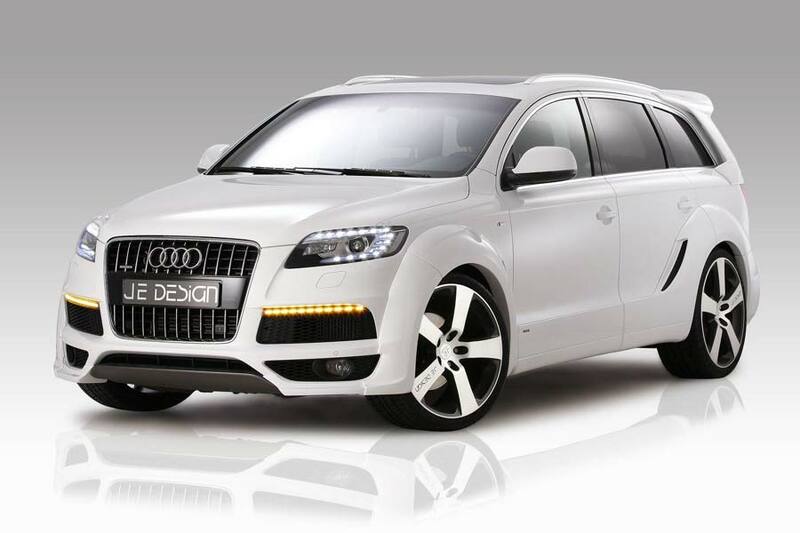 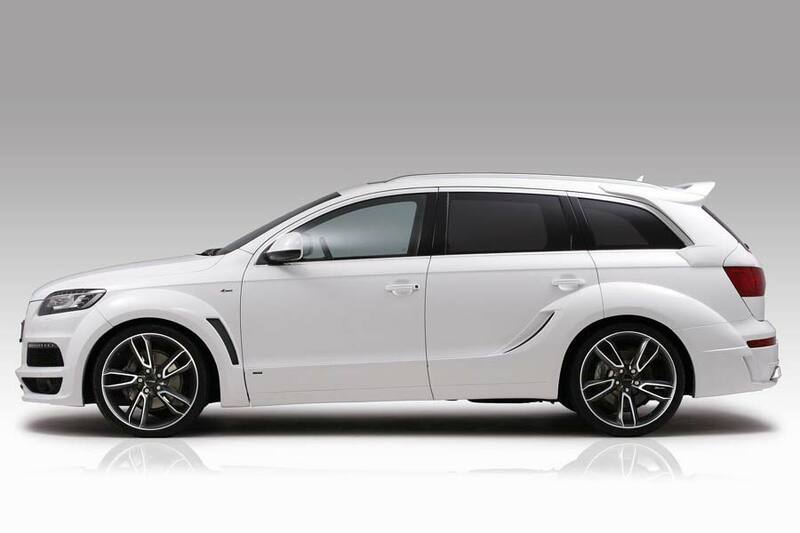 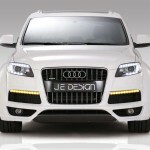 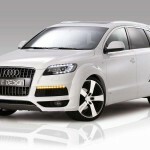 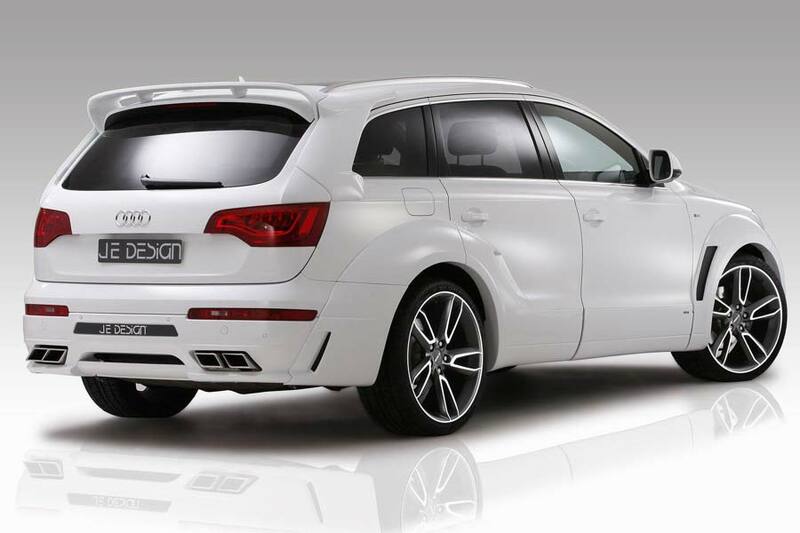 Leingarten-based styling specialist JE Design has released further details of its body kit for Audi Q7 models built to the S line trim level. 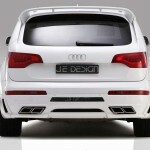 Constructed from a mixture of polyurethane (PU) and a fibre-reinforced composite, the kit consists of a front spoiler, rear apron, tailgate spoiler, c-pillar covers, and lower door/sill panels which provide a continuous body line between the front and rear wheel arch extensions, providing an increase in body width by 60 mm at the front and 80 mm at the rear. 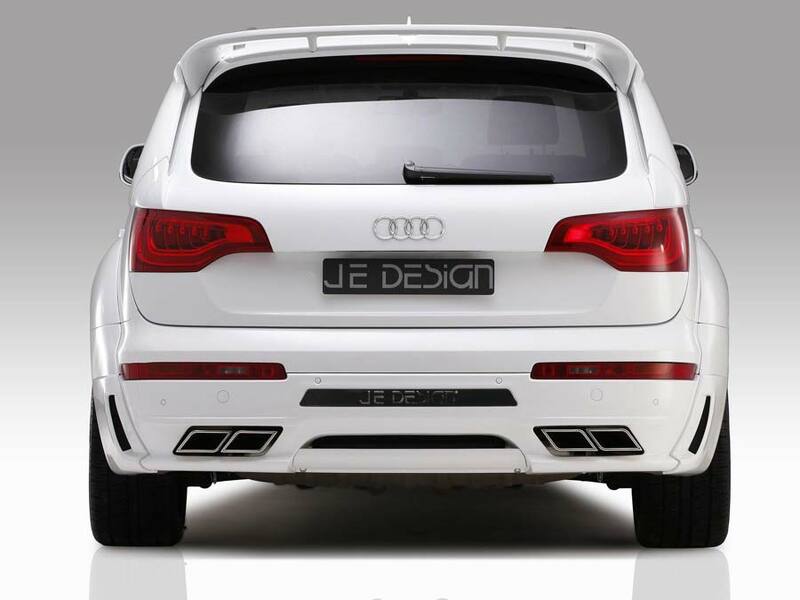 Diamond-shaped tailpipes complete the look. 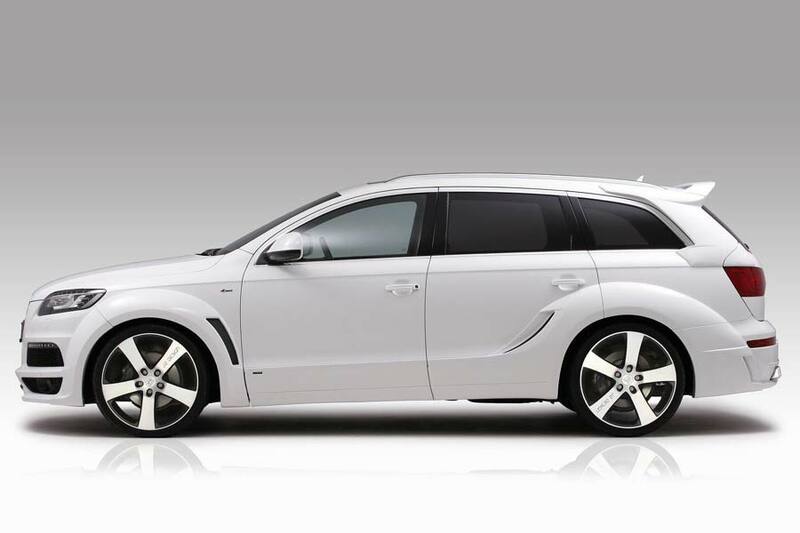 A choice of spacers and various styles of wheels in sizes from 9 x 20- to 10 x 22-inches are available, along with the company’s lowering module which offers a drop of up to 35 mm. 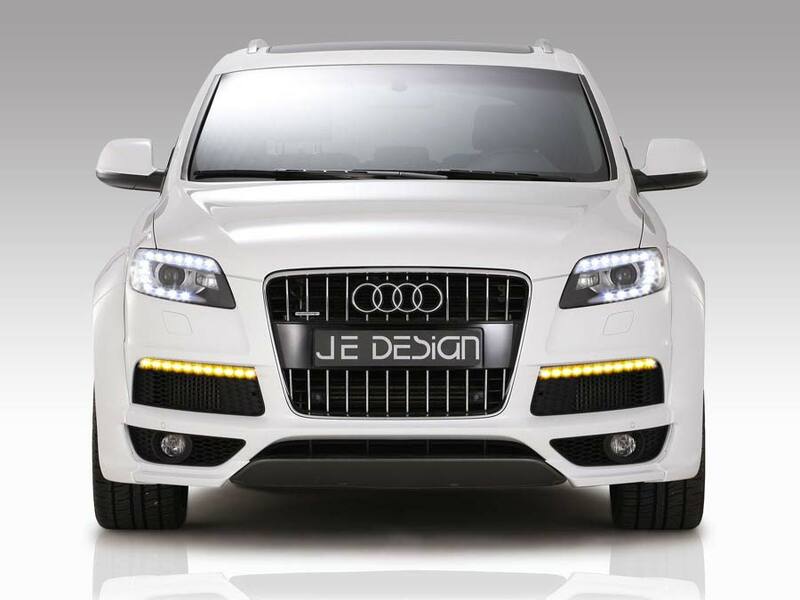 JE Design can also provide engine tuning options, for example, thanks to the optimization of the 4.2 TDI’s engine management system, output rises to 250 kW (335 hp) and 895 Nm (660 lb-ft) of torque; enough to carry this heavyweight SUV to 100 km/h (62 mph) in just 6.1 seconds.